This extra creamy, easy scalloped potatoes recipe is the easiest side dish ever. Thick velvety sauce surrounds perfectly cooked potatoes. 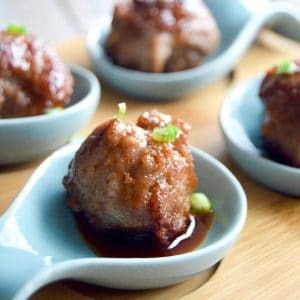 Ideal for entertaining because you can make them ahead and just warm them to serve them. Creamy Scalloped Potatoes have been a staple in our family entertaining for years. Its one of those recipes I don’t even have to look at the recipe to make it. 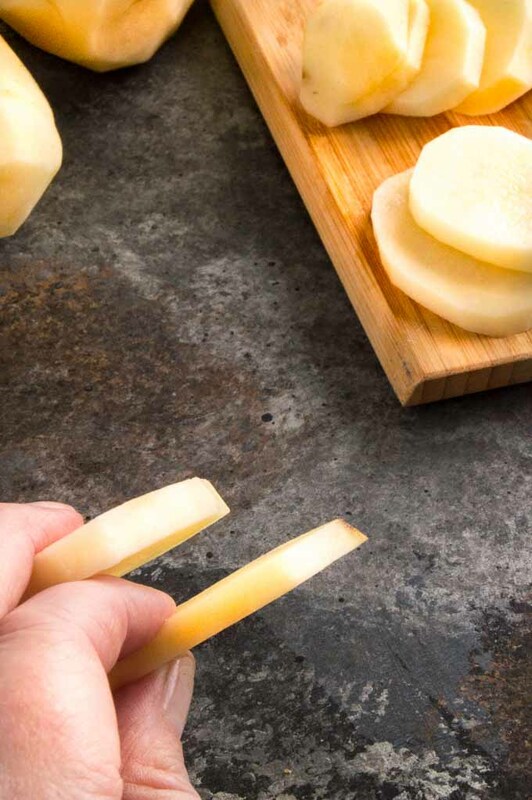 And what could be better than a recipe like this one that answers the call for these needs: scalloped potato recipe, easy and quick. Actually I have a vague memory of making it from a cookbook when I first had to make a dish for a family holiday. I tried to go back and source it for you but after looking through at least a dozen cookbooks I couldn’t find it. I haven’t used an actual recipe in years for it so when I made this I had to actually figure out what the quantities actually were. I love recipes which are so good, you think of them as the best ever…. 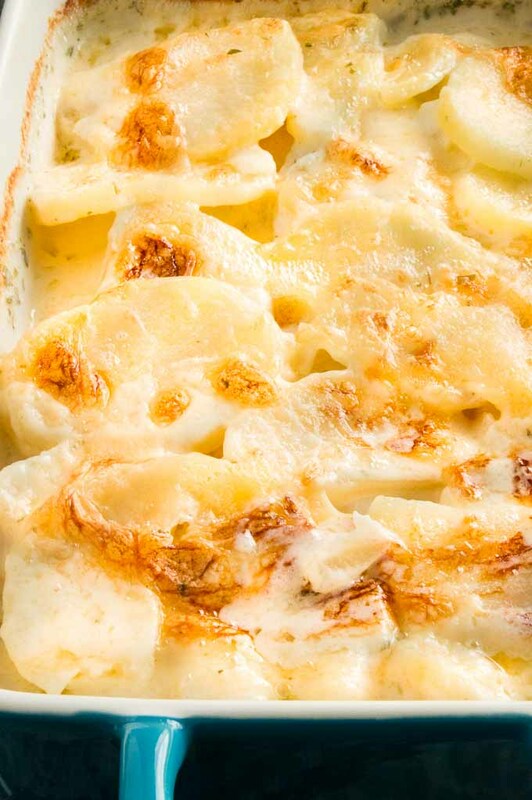 in this case, the best scalloped potatoes recipe. They become natural to make and you don’t have to be at home to follow the recipe and they come out perfect every single time. What Kind of Potato should you use? The best potatoes to use for scalloped potatoes are either a russet potato or Yukon gold potatoes. They both have a higher starch content and will give you a creamy potato. Russet potatoes can break down and fall apart if you boil them too long, but this recipe accounts for that by boiling, then baking for short times. How to make the best scalloped potatoes? This is the easiest recipe ever. Basically only three ingredients. Potatoes, Cream and seasoning. Seriously, can it be any easier than that? The trick to success is cutting the potatoes evenly and thick. 1/4″ thick. This allows for the potatoes to cook evenly. 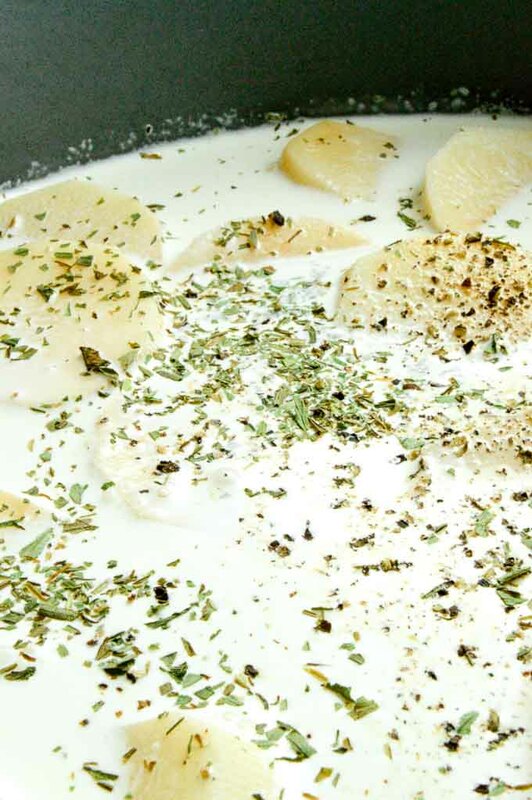 Once cut you’ll just cover the potatoes with the cream and seasonings and par boil them for 15 minutes. Then they get lined up in your baker and then pour the cream over the top to bake. Seriously that’s the whole recipe? Can it be any easier than that? How can you make the scalloped potatoes with a thicker extra creamy sauce? Before adding the potatoes I have added an optional method for thickening the sauce with a little flour and butter. I do this if I am making the potatoes and not reheating them. 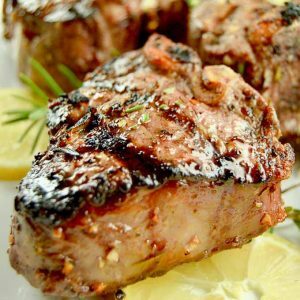 It guarantees that the sauce will be thick, velvety and extra creamy. What is the difference between Au Gratin Potatoes and Scalloped Potatoes? 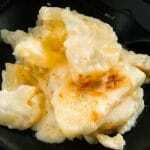 Scalloped Potatoes are made with cream/milk in the sauce. Au Gratin have cream/milk AND cheese in the sauce. You can vary them by the kind of cheese you use in them. 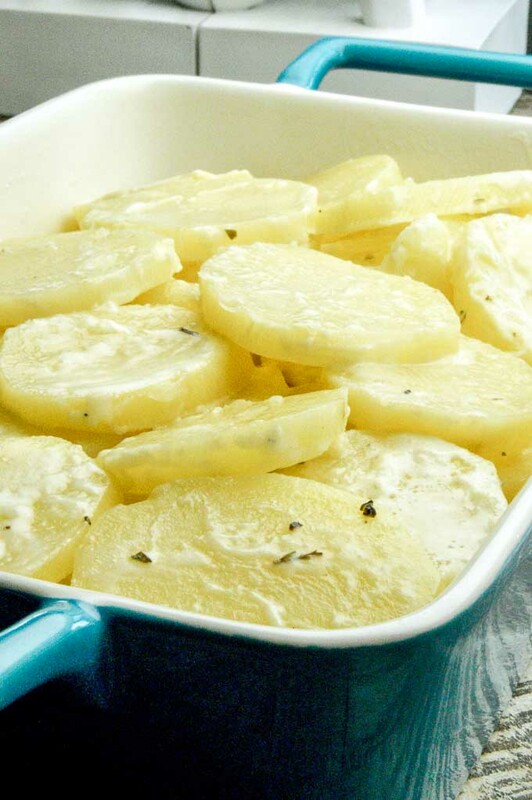 I have an au gratin potato recipe you might enjoy here! Yes! This creamy scalloped potato recipe can be made a day ahead or even just earlier in the day. Make them ahead, let them completely then place covered in the refrigerator. 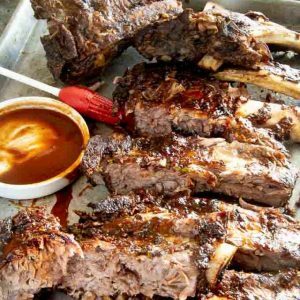 When you are ready to warm them, allow them to come to room temperature then reheat them, uncovered at 325° for 20-30 minutes. Pin this recipe to your Side Dishes Board for ease of finding the recipe when you are looking for an easy comfort food classic. Place potatoes into a large stockpot. Then pour heavy cream until they are just covered. Add salt pepper and tarragon over the top. Use a large stock pot so they don't boil over, using too small of a pan will boil over and create a big mess on your stove. Turn burner onto high and cook for 15 minutes. Turn off heat, remove pan from burner. The potatoes will not be all the way cooked at this point, they will continue to cook when they go into the oven. Scoop out carefully the potatoes and place them in a baking dish. Then pour the leftover cream mixture over the top. Bake at 350° for 15-20 minutes until bubbly and golden top brown. This dish is even better if made early in the day or a day ahead. If you make It ahead, let it cool completely then cover and store in fridge. Remove from fridge 1 hour before you are ready to bake it. Bake at 325° for 20-30 minutes until heated throughout. OPTIONAL: If you want extra thick creamy sauce. Melt one tablespoon of butter on medium heat in the pot you will boil the potatoes in. Once it is melted, add the flour and stir to incorporate completely. Let the flour cook for 90 seconds to cook out the flour taste. Add 1/4 of heavy cream and keep stirring until flour/butter cream mixture starts to thicken. Then add the balance of cream and whisk until all mixed completely. Then add potatoes and continue from step number 3 above. Thanks for this recipe!! I was wondering if this dish freeezes well? I have tried freezing it, but for the most part the dairy changes texture in a way that isn’t very pleasant. I don’t recommend it. These potatoes sound absolutely perfect! 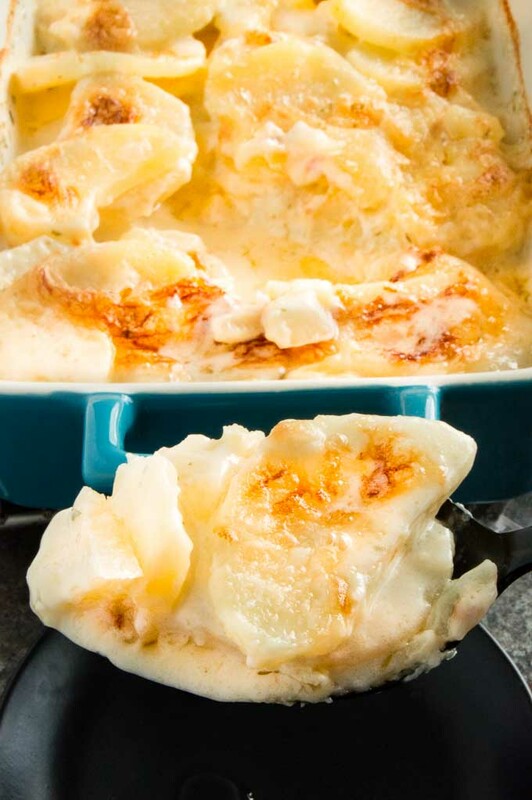 I was planning on making scalloped potatoes for Easter, I’ll have to give this recipe a try! I love potatoes! These look so yummy! There is nothing like creamy potatoes in my book! I’ve never made potatoes using this method before, but I’m certainly looking forward to making them this way soon… They look so incredibly good! I love it when simplicity and deliciousness combine so perfectly! I love how you break down all the aspects of making the potatoes so you can get them just the way you like them. 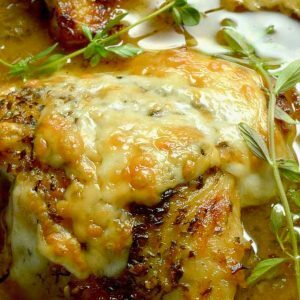 I can’t wait to try this version as I love an extra creamy sauce! I have to tell you — these are the BEST scalloped potatoes I have ever made!! My family loved them! I don’t think that I ever stopped to consider the difference between scalloped and au gratin potatoes and I love how easy this recipe is to put together. These taters will go perfectly with my Easter ham too. Does this thicken with out a starch being added? Thanks. Just in time for ham season. I love both scalloped potatoes and au gratin! Your recipe looks so delicious! And I love the addition of tarragon, which I would say is my favorite herb! These look so delicious and satisfying. Potatoes and cheese are the perfect food!! I just love recipes that are versatile enough to make ahead. Especially when you are entertaining! All the last minute prep can get stressful, so these lovely scalloped potatoes would be perfect! Yum! This sounds so perfect for the upcoming holidays. I love how easily to comes together. Will definitely be a hit with my family. These really do sound super easy and so comforting too. Anything creamy is good with me.